Whether the theme for your engagement photos is casual or elegant, or the season winter, spring, summer or fall, you can’t lose if you choose South Tahoe for your setting. Crystal blue water, towering pines, wildflowers, snow, majestic mountains… South Tahoe has every beautiful backdrop you can imagine. No special lighting required. Your engagement photos will become a life-long keepsake of this special time in your lives. So when you choose the location for your engagement photo shoot, keep in mind the backdrop that suits you best as a couple. Natural settings — whether on the beach or in a wooded area — make for some of the most gorgeous engagement photos. No matter what time of year you schedule your shoot, there are many beautiful outdoor settings that will help make your photos spectacular. What better place to have your engagement photo shoot than in South Lake Tahoe? Did you meet on a boating trip, or maybe at the beach? Engagement photos taken near the water — or even on a boat — will have that extra-special meaning to both of you. 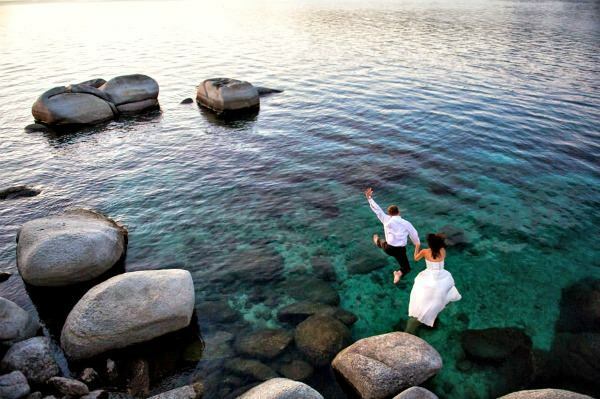 Beach Retreat & Lodge at Tahoe sits at the edge of Lake Tahoe and has a lovely stretch of sand that would provide a stunning setting for your engagement photos. Or go big for your engagement photo shoot and take it out on the lake, with a trip on the M.S. Dixie II from Lake Tahoe Cruises in South Lake Tahoe. The gorgeous beach at Zephyr Cove Resort is a great spot for engagement photos, with the stunning lake to one side, and the beautiful surrounding mountains to the other. Beach photos are beautiful any time of the year — even in the winter. The white snow across the sand provides a stunning contrast to the crystal blue waters of Lake Tahoe. The beach at Edgewood Tahoe is another spot for getting the perfect shot, with the mountains as a backdrop behind the lake. Maybe you’ve imagined your engagement photos in a more woodsy setting? A good photographer will keep in mind what time of day your pictures will have the best lighting, which also depends on the season. You might even consider taking pictures at sunset, for stunning lighting and romantic effects. Ready to schedule your engagement photo shoot? Choose your photographer and enjoy creating those life-long memories that engagement photos can capture. Check out our listing of local photographers who really know their stuff when it comes to shooting all things Tahoe. 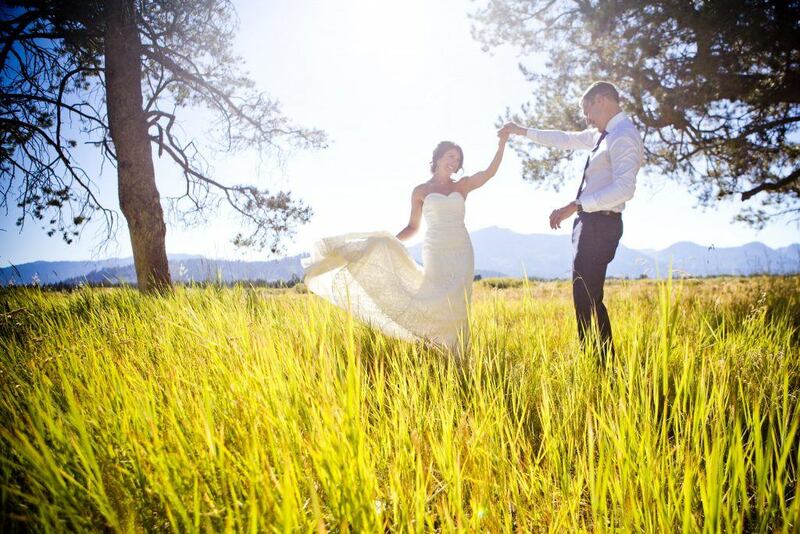 Get more info about our beautiful and exclusive South Lake Tahoe venues: Lake Tahoe Resort Hotel, The Ridge Tahoe, The Landing Resort and Spa, Lake Tahoe Cruises / Zephyr Cove Resort, Edgewood Tahoe, and Beach Retreat and Lodge at Tahoe. 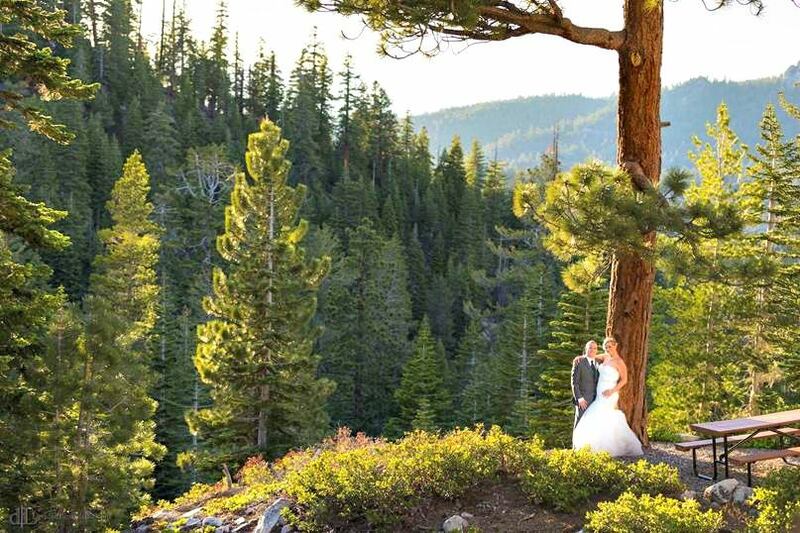 For more information about planning your South Tahoe dream wedding, check out Lake Tahoe Visitors Authority (LTVA) website.